Abraham Lincoln arrived with his family in the area in 1830 to settle a section of government land bisected by the river. 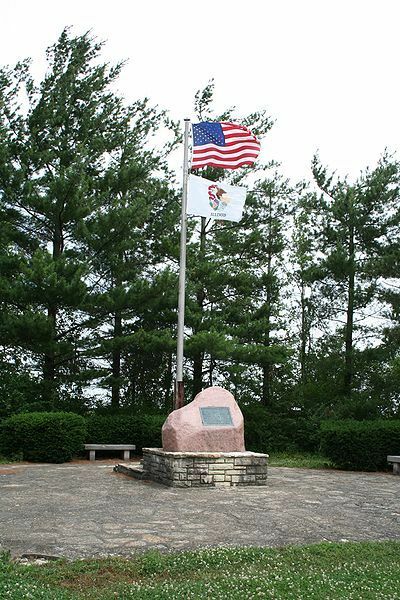 The site, now Lincoln Trail Homestead State Memorial, was selected by Lincoln's father after the family had economic and land-title difficulties in Indiana. The 21-year-old Lincoln helped build a 16 foot by 16 foot (4.8 m by 4.8 m) cabin along the river. The following year in 1831, he canoed down the river to homestead on his own near New Salem in Menard County northwest of Springfield. Later that year he floated down the river with companions on a flatboat to the Illinois River, and then following the Mississippi River to New Orleans.